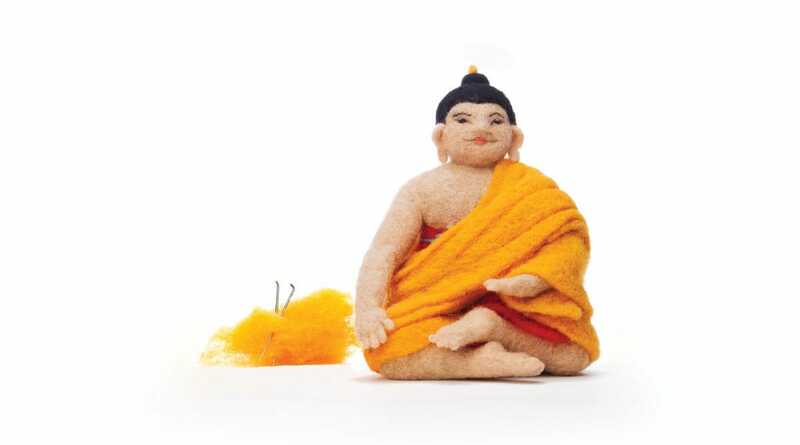 Needle-felted wool Buddha by Gwyneth Jones; Photo by Marvin Moore. Set aside a room or corner or a cushion that you use just for sitting. The sound of a bell is a wonderful way to begin sitting meditation. If you don’t have a bell you can download a recording of the sound of a bell onto your phone or computer. When you sit, keep your spinal column quite straight, while allowing your body to be relaxed. Relax every muscle in your body, including the muscles in your face. Consider smiling slightly, a natural smile. Your smile relaxes all your facial muscles. Notice your breathing. As you breathe in, be aware that you are breathing in. As you breathe out, notice that you are breathing out. As soon as we pay attention to our breath, body, breath and mind come together. Every in-breath can bring joy; every out-breath can bring calm and relaxation. This is a good enough reason to sit. When you breathe in mindfully and joyfully, don’t worry about what your sitting looks like from the outside. Sit in such a way that you feel you have already arrived. It’s wonderful to have a quiet place to sit in your home or workplace. If you are able to find a cushion that fits your body well, you can sit for a long time without feeling tired. But you can practice mindful sitting wherever you are. If you ride the bus or the train to work, use your time to nourish and heal yourself. If you sit regularly, it will become a habit. 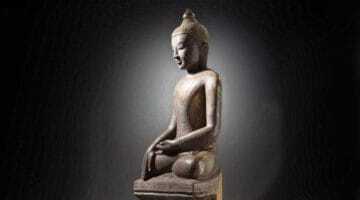 Even the Buddha still practiced sitting every day after his enlightenment. Consider daily sitting practice to be a kind of spiritual food. Don’t deprive yourself and the world of it. Adapted from How to Sit by Thich Nhat Hanh © 2014 The Unified Buddhist Church. Reprinted with permission of Parallax Press, the publisher.